Choose greed, "fucks and bucks" over integrity honor and public trust and land in prison defying a sitting judge in the Southern District of New York. Continue the lying game in prison to allegedly manipulate innocent supporters and friends out of thousands of dollars in support; even getting them to write a book for you while you are in prison. 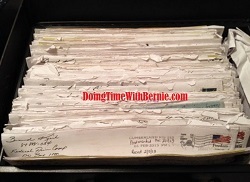 When released from prison, and your lies beat the truth to the finish line, ignore, harass, "make crazy" then suddenly separate from those who were there when you needed them, taking with you their assets. Apparently the TRUTH has no place in a scheming Felon's Grind! Get your gays, used-up whores and crazy cop friends to threaten, harass everyone in their life so your victims of your latest crime just go.away. Openly and brazenly LIE to the public about "meeting with President Obama" and get a 2nd tier news source like Newsmax to swear to it. (Remarkably, the video that goes along with this picture has been taken down by Newsmax! Strange or not so...Ha! However, screenshots and cached links are forever!) 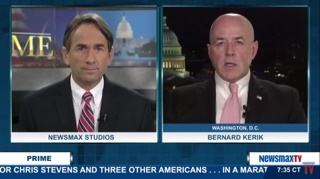 However the Newsmax Rehab of Bernard Kerik has been going on along time! Have seemingly legit friends and organizations like Brennan Center and U.S. Rep Pete King use their influence to get an eight time convicted felon permitted to crash the public White House meeting rooms as a "visitor" as well as permitting him to aimlessly roam the basement of Congress. We'll soon find out what's in it for King. For groups like BrennanCenter.org, its exposure for more bucks. 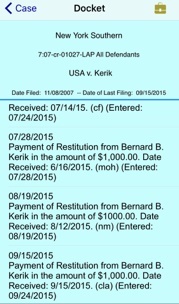 However, crafty of Kerik to masquerade as a "law enforcement leader" when he is neither in law enforcement nor a leader! Utilizing carefully crafted semantics to openly and brazenly lie in public and in the media like Newsmax about "meeting with" the President of the United States when you are actually sitting in the audience of a panel discussion of real leaders "meeting" with the President. I guess we busted Bernie Kerik's lying bubble on that one because the post on the phony ACCJR.org about this event claims he wasn't part of the Police Chiefs a la LAPD Chief Charlie Beck rather felon Kerik was invited by the Brennan Center to sit in the audience! Isn't the truth refreshing?! Book promotional tours far from home, particularly to college campuses (selling someone else writing) alegedly "making up for all you missed in prison". Travel and dine lavishly on the dime of your phony 501c3 like ACCJR.org so you can cheat on and get away from the nagging, materialistic, "ball and chain" child bride you married! In an creepy seemingly psychopathic trend, reply to random comments, not directed to your twitter, as if they were directed to you as NYPD Commissioner! 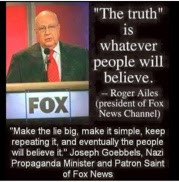 Apparently felon Bernard Kerik learned at the foot of the masquerading master, Roger Ailes of Fox News, "The truth is whatever people will believe".